This is the story of Australia’s three astronauts: Philip Chapman, Paul Scully-Power and Andy Thomas. It details the experiences of these three exceptional men and their roles in the space programs of the United States and Russia. 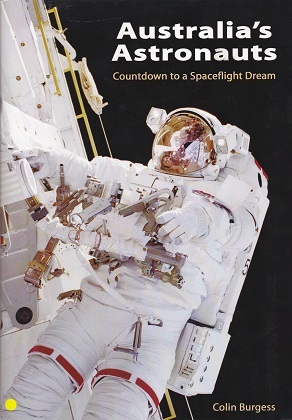 The book also narrates the missed opportunities to fly more Australians in space as part of NASA’s international payload specialist program and reveals the true story behind adventurer Nik Halik’s attempt to become the first Australian space ’tourist’. The book begins with Philip Chapman’s involvement as a scientist-astronaut in NASA’s Apollo missions of the 1960s, at the height of the space race between the United States and the former Soviet Union. It then tells the story of oceanographer Paul Scully-Power, who became the first Australian-born person to fly into space, and his work studying the oceans from space aboard shuttle Challenger in 1984. Andy Thomas, the Adelaide-born NASA astronaut, has now flown on four space missions. On one of these flights he spent 141 living and working aboard the Russian space station, Mir. During the shuttle mission STS-102 he performed two spacewalks as part of the construction of the International Space Station and was aboard STS-114, the crucial return-to-flight mission after the tragic loss of shuttle Columbia and her crew in February 2003. Australia’s Astronauts is both informative and entertaining. It provides a fascinating glimpse into the world of space and space travel while relating the stories of several remarkable Australians and their cherished dreams of spaceflight.